How does one play the Hollywood fame game in order to challenge everything that Hollywood stands for? 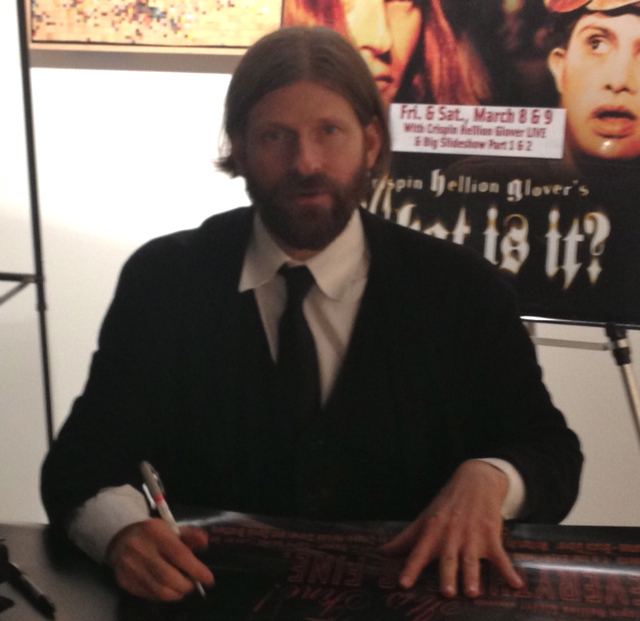 Actor/writer/director Crispin Glover may be the only celebrity who knows. Glover, who financed his directorial work by acting in such box office hits as Charlie’s Angels, has been showing his unconventional films What is it? and It is fine! EVERYTHING IS FINE. around the world using a non-traditional touring schedule. 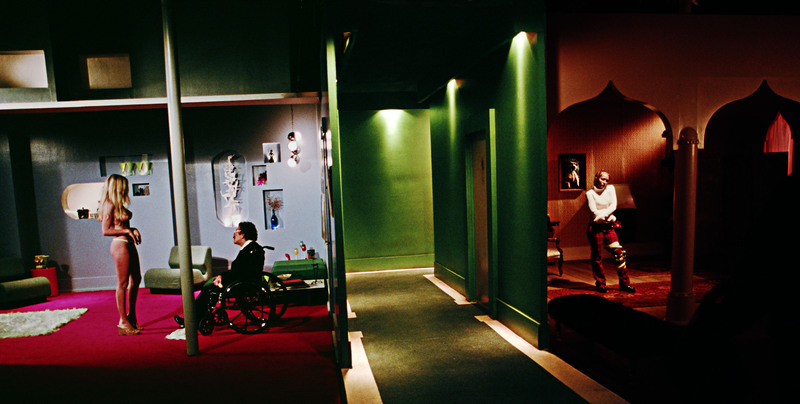 Controversy has surrounded the films’ use of disabled cast members, which Glover maintains is respectful and misunderstood. Others have accused What is it? and It is fine! EVERYTHING IS FINE. as being purely intended for shock value, due to their open use of taboo themes. But for those who have had the rare chance of seeing them, Glover’s daring films are unique and enlightening works of art. To find out more about the films, visit CrispinGlover.com. Rachel Knight interviewed Glover earlier this month to delve deeper into the films and their director. Do you find that audience members laugh at portions of your films that you don’t consider humorous? How does this affect the experience of the audience as a whole? How does it affect you? Have you found patterns to what people find funny, and if so, what is your interpretation of such patterns? Laughter is not necessarily an indication of what is standardly called comedy. Laughter can also be classified as a civilized growl. This civilized growl can, in a civilized fashion, with the use of laughter, castigate the sick or the foolish ones, or the foolish part of oneself. This is what laughter actually indicates. People think of laughter as something that brings people together. It does. It brings people together against something else. This is why laughter is an excellent indicator of taboo in both What is it? and It is fine. EVERYTHING IS FINE. If someone is laughing at one end of the row of seats, someone may look down that row of seats and at the person who is laughing and think to themselves “What is wrong with that person?” This is because many areas of both films exist in the in-between plane of that which is considered funny by one person and decidedly not funny by the next person. It is a big reason why I continue to tour with the films in a group situation. Group situations can illustrate very clearly by means of laughter what is taboo. This sort of unsettled audience reaction happens quite a lot in both films. This is something that I was quite aware would happen when making both the films, and the fact that it happens is a satisfying experience for me as a filmmaker. This is true even if I know some elements are bound to be misunderstood by some. I also know that many have a visceral, educational illustration of a portion of how propaganda has a direct effect on human moral conditioning. Taboo is the gray area that is not clearly defined by the moral codes within the culture and it makes for fascinating group discomfort when properly applied, which then can be interpreted in an educational fashion. I have had some people believe It is fine! EVERYTHING IS FINE. would fit into the genre of “psychological terror” but I would call it a drama with humor. Also, even though this film is definitely not a documentary, it does document this main actor/writer living out his fantasy that he wrote for himself to portray. To me all good drama has humor in it, and that is how I would classify What is it?— as a drama with humor. I would never call it a comedy though. If What is it? is to be classified for various reasons then it is classified as a narrative film. The more broad classification of drama, and a drama that has humor, sits well with me. The kind of narrative that it uses is a cinematic syntax that has been used before by various filmmakers. It is not a new syntax, but it is not the same syntax that is usually used by corporately funded and distributed filmmakers. Buñuel is definitely a filmmaker that had influence on What is it? Formally he was a “Surrealist” with a capital “S”— the Surrealists being a “political” group as Buñuel described it in his beautiful autobiography “My Last Sigh.” Now “surrealism” with a small “s” has come to mean something to do with art, and the most valuable thing I know about surrealism is using free association to get to the subconscious levels for artistic expression. That element of surrealism is extremely valuable! Your shows include a Q&A session, during which you take care to answer each question thoroughly and sincerely. You’ve said that you spend an especially long time addressing the concerns of people that have been upset by your films. Can you share a story of a time when this happened? There are patterns that happen. If someone is belligerent with an aggressive questioning pattern I will let them speak or yell as much as they want. When the questioner is belligerent the rest of the paying audience will pick up on this and the audience at large may start to turn on that person as they begin to vocally disagree with what the person is saying. This does not happen often, but when it does I don’t let it go too long, and usually urge the audience to let the belligerent questioner speak. It becomes very evident that the belligerent questioner has hung themself with questions born out of emotionally propagandized knee-jerk reactions, which when analyzed with proper questioning make it evident that there is not a logic to the belligerent reaction they experience. Even if the audience member who is having that reaction does not realize what is happening, the rest of the audience does. Then there are the questioners that have legitimate thoughtful questions. Some can be aggressive and many are not aggressive. In any case I answer them thoroughly. He has falsely stated that I asked the same amount of money that Michael J. Fox was getting. This statement by him is complete fabrication. You’ve said before that at a certain point in an actor’s career, it is good to ask oneself “What am I?” and determine an answer. Having done this with yourself, what have you found out? How does it affect the way you go about your career, as an actor and otherwise? I still make a great majority of my income from acting in corporate films. I am most passionate about my own filmmaking. I continue to tour with my films and shows to make my own filmmaking viable. It has essentially worked. Corporate media control waxes and wanes in terms of discussion of taboo and genuine questioning. The last 30 years has had a particular constriction on the kind of discussions that are able to happen in the corporately controlled media. It is possible that constriction could loosen, but that is hard to tell. Steven C. Stewart wrote and is the main actor in part two of the trilogy titled It is fine! EVERYTHING IS FINE. I put Steve into the cast of What is it? because he had written this screenplay which I read in 1987. When I turned What is it? from a short film into a feature I realized there were certain thematic elements in the film that related to what Steven C. Stewart’s screenplay dealt with. Steve had been locked in a nursing home for about ten years when his mother died. He had been born with a severe case of cerebral palsy and he was very difficult to understand. People that were caring for him in the nursing home would derisively call him an “M.R.” short for “Mental Retard”. This is not a nice thing to say to anyone, but Steve was of normal intelligence. As I have stated, I put Steven C. Stewart into What is it? when I turned What is it? into a feature film. Originally What is it? was going to be a short film to promote the concept to corporate film-funding entities of working with a cast wherein most characters are played by actors with Down’s Syndrome. Steve had written his screenplay in the late 1970’s. I read it in 1987 and as soon as I had read it I knew I had to produce the film. Steven C. Stewart died within a month after we finished shooting the film. Cerebral palsy is not degenerative but Steve was 62 when we shot the film. One of Steve’s lungs had collapsed because he had started choking on his own saliva and he got pneumonia. I specifically started funding my own films with the money I make from the films I act in when Steven C. Stewart’s lung collapsed in the year 2000. This was around the same time that the first Charlie’s Angels film was coming to me. I realized that I could put the money I made from that film straight into the Steven C. Stewart film. That is exactly what happened. Still from “It is fine! EVERYTHING IS FINE.” Pictured L-R: Jami Farrel, Steven C. Stewart and April Hoglund. I finished acting in Charlie’s Angels and then went to Salt Lake City where Steven C. Stewart lived. I met with Steve and David Brothers, with whom I co-directed the film. I went back to LA and acted in a lower-budget film for about five weeks and David Brothers started building the sets. Then I went straight back to Salt Lake and we completed shooting the film within about six months in three separate smaller productions. Then Steve died within a month after we finished shooting. I am relieved to have gotten this film finally completed, because ever since I read the screenplay in 1987 I knew I had to produce the film and also produce it correctly. I would not have felt right about myself if we had not gotten Steve’s film made. I would have felt that I had done something wrong and that I had actually done a bad thing if I had not gotten it made. So I am greatly relieved to have completed it, especially since I am very pleased with how well the film has turned out. We shot It is fine! EVERYTHING IS FINE. while I was still completing What is it? and this is partly why What is it? took a long time to complete. As proud as I am of What is it? I feel It is fine! EVERYTHING IS FINE. will probably be the best film I will have anything to do with in my entire career. People who are interested in when I will be back should join up on the email list at CrispinGlover.com, as they will be emailed with information as to where I will be with whatever film I tour with. It is by far the best way to know how to see the films. After Charlie’s Angels came out it did very well financially and it was good for my acting career. I started getting better roles that also paid better and I could continue using that money to finance my films that I am so truly passionate about. I have been able to divorce myself from the content of the films that I act in and look at acting as a craft that I use to help other filmmakers accomplish what it is that they want to do. Usually filmmakers have hired me because there is something they have felt would be interesting to accomplish with using me in their film, and usually I can try to do something interesting as an actor. If for some reason the director is not truly interested in doing something that I personally find interesting with the character then I can console myself that with the money I am making to be in their production I can help to fund my own films that I am so truly passionate about. Usually though, I feel as though I am able to get something across as an actor that I feel good about. It has worked out well. Where are you while audience members watch the films? Are you able to observe audience reactions? It depends on the venue and what my diet is at the moment. Sometimes when the film plays after I perform the shows, I am at dinner. Sometimes I am sitting in a green room replying to interviews or sleeping. Sometimes I am behind the screen and watching the reverse image of the film projected, sometimes if the auditorium has a balcony that is closed off I will sit above the audience and watch the films or portions of the films. Sometimes I am dealing with business in the office with the theater owner or manager. I avoid sitting in the audience to be seen by the attendees of the show. Over the years I have been able to see the relative consistency of the reactions of the audience, although as described elsewhere different people react differently within the same audience due to the nature of the films. You seem to have had a very close relationship with Steven C. Stewart, who wrote and starred in It is fine. EVERYTHING IS FINE. Can you speak to how you felt about him, personally? I personally financed the film and had taken out no insurance if Steve were to die. Steve was a strong person and I knew that he had an inner need to get this story out. He had already stayed alive by getting an operation to get this film made and I knew he would stay alive no matter what to get the film completed. About a month after we finished shooting I got a telephone call one morning and it became apparent that Steve was in the hospital with a collapsed lung again and that he was basically asking permission to take himself off life support and he wanted to know if we had enough footage to finish the film. I know that if I had said “No Steve. We do not have enough footage. You need to get better and we have to finish the film,” he would have gotten whatever operation he needed to get better, and been happy to come back to the set and shoot. As it was we did have enough footage and it was a sad day and heavy responsibility to let him know that we would be able to complete the film. Steven fell in love with an actress he met while working on It is fine, and he later bequeathed his estate to her. Can you tell us more about this story? The reason this was in the inter-title at the end of the film is because it did happen. If the actress wanted to speak about it that would be up to her. But the reason the inter-title was important is because it did happen and it was an illustration that this film was a genuine experience for Steve. Steve had to be the main actor. There would have been no point to making the film without him. He had written it with the concept of himself playing the main role and part of the fascination of the film is that it is a documentation of him living out this particular fantasy that he wrote for himself and psychological truths come out from the film that are completely about him. Steve really liked acting. In many ways Steve is more of a natural born actor than I am. I decided to become an actor as a business decision at a young age. I do not mean to say I do not enjoy it as I do, but I know it is because I was around the business and understood how it worked more than someone who just enjoys the attention. Steve definitely liked the attention and the women with long hair! But there also was something true that was being expressed and he somehow knew instinctively what to do. He had questions about his own acting skill at a certain point because he knew good actors were being brought into the production. There were various things about his physical condition that evoked other elements that he was not necessarily aware of and I explained the exacting reasons for this and he seemed to understand. His acting is excellent in the film and he of course had written this fantasy for himself to play out so no matter what there is a documentation of this man living his fantasy, but his performance works extremely effectively on a dramatic/organic level as well. The thing about the film that I am happiest about is that the emotional element that was there from the very first time I read the screenplay is there in the film, and I think somehow Steve knew it would be there as well. We had to shoot It is fine! EVERYTHING IS FINE. when we did because of Steve’s health. He died within a month after we finished shooting the film. Because of this, on his deathbed Steve only saw some silent out-takes from the film. I wish Steve were around as there are a lot of questions I would ask him and yet at the same time part of what I love about the film is that there are mysteries to which I will never know the answers. In what way has your willingness to ask questions of the film industry affected your career? Please see this as an opportunity to speak about the continuing backlash against you as perpetuated by Robert Zemeckis and Bob Gale following your lawsuit against methods used to recreate your image in the second two Back to the Future films. My asking questions led to me not being in the sequel to Back to the Future. I am glad to be in the original film and that people still like it. I have noticed that Bob Gale, a writer and producer on Back to the Future, has been stating consistent untruths about me in order to obfuscate something he did that was illegal. People should understand that Bob Gale is continuously attempting to throw attention away from his wrongdoing by stating untrue things about me and that people should not believe him. I am glad that I was in Back the Future. The character of George McFly was an excellent role and I feel good about the final results in that film. I need to clarify that I did not play the character in the sequels to the film. There was never an agreement reached for me to appear in the sequels to Back to the Future. The producers hired another actor and with a false nose, chin and cheekbones made him up to look like me, then inter-spliced a very small amount of footage of me from the original film in order to fool audiences into believing it was me playing the character. Because of my lawsuit there are laws in the Screen Actors Guild that make it so no producers, directors, or actors are ever able to do this again. I am proud of that. I have noticed however that Bob Gale, who was the co-writer and one of the producers on the films, and one of the chief architects of the concepts that led to the lawsuit, has been stating false things about me to attempt to lessen his wrongdoing. I do not like his false statements and would like to reiterate that what he did caused laws in the Screen Actors Guild to be changed to protect actors from his kind of wrongdoing. I ended up having an excellent working relationship with Robert Zemeckis on Beowulf. Despite the negative aspects of Bob Gale I am glad that I played the character in the original film. I have to be careful about certain things I communicate because there are legal terms that must be stuck with. Even though it is true that Steven Spielberg was part of the lawsuit, it should be made clear that the creative impetus for utilizing another actor in prosthetics to make him look like me, and inter-splicing small portions of my performance from the original film in order to fool audiences into believing I was in the sequel, came more from the mind of Bob Gale. It should be noted that Bob Gale has not worked in the film industry since 2004 and as of 2008 became a regular writer for Spider Man. Steven Spielberg purchased many of Bob Gale’s screenplays and never produced them. This may have contributed to rendering Bob Gale out of work in the film industry. It is possible this was a retaliatory gesture by Steven Spielberg for involving him in a lawsuit that ended up causing changes in SAG rules so producers and actors can never do something like that again. Negative things are said about me on the Back to the Future DVD by Bob Gale, and he may be bitter about these things. But maybe it is all coincidence. Interviewers actually do not usually ask me about this subject in such a detailed way so I am very glad to have the opportunity to get it straight. A lawsuit is of course a reaction to an unfortunate negative situation. I would not enter into a lawsuit unless there was an egregious and unlawful wrongdoing. It just so happens that was the situation with Back to the Future Part II. If something wrong is done you have to stick up for yourself and ultimately others so that that sort of illegal activity can not recur. My lawsuit set certain precedent in the US for the understanding of an actor’s innate ownership of their own self and their own image. To make what my lawsuit was about exceedingly clear what the producers did was use casts of my face from the original film to put my features on to another actor’s face with prosthetics. Had they only used original clips from the first film and not attempted to fool audiences in to believing I was in the film there would not have been a lawsuit. Or had the producers only hired another actor to play the role and not used my features on the other actor there would not have been a lawsuit. The producers owned the name and the character, but they did not own me or my facial features. They did not come to an agreement with me to appear in the film and so they decided to test the boundaries of an actor’s ownership rights erroneously. I am proud of standing up for actors’ rights in that situation. Probably the most negative aspect about it is that Bob Gale who was a co-producer and co-writer and one of the main architects of the illegal activity has decided that it serves him best to lie about what happened in order to justify partaking in something that led to the producer’s illegal activity. He has falsely stated that I asked the same amount of money that Michael J. Fox was getting. This statement by him is complete fabrication. He is doing this to take the focus off the fact that what he and his fellow producers did was illegal, by definition of the word. He does not want to face that fact. To skirt the issue Bob Gale has lied to millions of people on the Back to the Future DVD commentaries about how the negotiations were handled. I would not normally discuss this sort of thing, but people believe what he has stated as true. What people have to realize is that Bob Gale was involved with something that turned in to illegal activity. People who wonder about if what Bob Gale has said is true or not, should understand even if they liked “Back to the Future” it still means that the a creator like Bob Gale who was a contributor to the illegal activity has motivation to create lies to detract the attention from his wrong doing. I wonder if Bob Gale were asked if he would help produce a film with the same specific illegal activity if he would say he would do it again. For one thing the new laws in SAG that my lawsuit helped to create would not allow an actor to be hired to fool audiences into believing they are another performer with the use of prosthetics or otherwise. Still, putting that specific question to Bob Gale, I wonder what he would answer. If he would answer that he would help to do something illegal again I hope people would understand the lack of integrity that would indicate on his part. I would hope he would answer that what he/they did was wrong and illegal, and if they had to make the film without me playing the role they would simply cast another actor in the role like they did with re-casting Claudia Wells with Elizabeth Shue as the Jennifer character in the same film. In the very same film they re-cast an actress with a different actress, but they did not put prosthetics on Elizabeth Shue to make her look like Claudia Wells. For what feels to me like mean-spirited reasons, they decided it was good idea to put another actor in prosthetics and inter-splice a very small portion of me from the original film to fool audiences into believing I was in it. There has not been another situation like this preceding it, and because of my lawsuit there has not been another time that another actor has been subjected to this particular sort of illegal activity. Again, I am proud of the lawsuit and standing up against illegal activity that caused proper precedents and bylaws to be set in the Screen Actors Guild. It is unfortunate that the producers of the Back to the Future films decided it was a good idea to perform an illegal action, which led to a lawsuit. In 2005-2007 I had a very positive experience working with Robert Zemeckis again, playing Grendel in his “Beowulf.” I am enjoying my life, making my films, touring with them, publishing my books and acting in other people’s films. If I were put in the exact same situation today I would react in the exact same way. Thank you for asking about it in that detailed way. I am glad to help clarify. When asked what attracts you to playing “outsider” characters, you’ve expressed that such roles are not necessarily something you gravitate towards more than something you are offered. Can you speak more to this? Within the corporately funded and distributed film world I see myself as an actor for hire and am grateful to that system to have made a living in it for more than thirty years. I do not really think of myself as an “outsider artist.” I do not really know exactly what I am outside of. But if people want to classify me as that I don’t find anything wrong with it. When I have my shows my personal experience is that by far most of the audience that comes to the shows gets something out of the whole experience. That is a good thing. I definitely am interested in continuing to expand my distribution. I am very serious about the business aspects of the distribution of my films and I feel that taking the slow and sure way of distribution is the best way to do it in the long run. I don’t necessarily think of [my acting] in that way. Usually what I’m trying to do is to find the psychological truth of the characters I’m playing. Perhaps “outsiderness” is present but it usually manifests from what seems appropriate for the psychology of the character. I see myself as someone who has been raised with the understanding of how the corporately funded and distributed film business works. I have had a certain amount of acceptance within that business. While I am grateful to that system to have made a living in it, I have also had certain questions about how to make the corporately funded and distributed film business more truly educational. There may be reasons why the corporately funded and distributed film business does not want to be truly educational and anyone who does that may be questioned back in multiple ways. I do not mind playing unusual characters and in fact I tend towards being drawn to them. Playing a certain type of character repeatedly is a pattern that can have adverse effects in the long run on business. I have a feeling it will be important for me in my own next films to play characters that will respond to that concern in my own way, as opposed to attempting to rectify this by utilizing the corporately funded and distributed film industry to figure out what will be best for me to play. It is probably the best policy for me to act in the films that are offered to me and fund my own films with that money. I have not necessarily thought of myself as having a large interest in outsiders or fringe characters, but I can see why it might seem like that. In a certain way I would not think of Layne [from River’s Edge] as a fringe character. If you analyze the original screenplay for River’s Edge, really Layne was written as kind of the popular center of that particular group of friends. In the last decade I have been specifically funding my films with the money I make as an actor. So I almost think of the roles I am offered as acting assignments. I mean that in a positive way and I am grateful to get those assignments. I do not try to and I never have tried to make a perception of being an outsider in the corporately funded and distributed film world. I don’t feel like an outsider in the corporately funded and distributed film world. I understand why there is the perception of me being an outsider but it is not a perception I am attempting to have. Tell me about the atmosphere on the set of “What Is It?”. 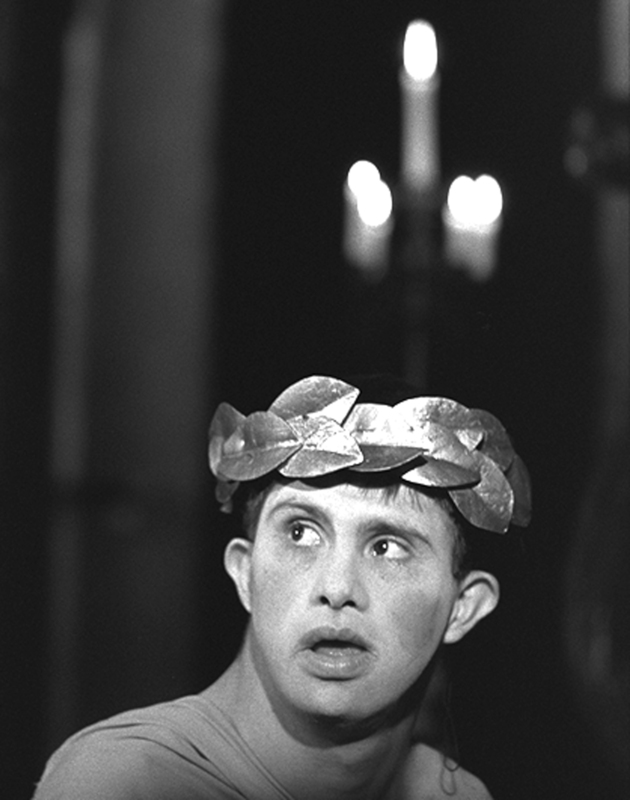 In what ways was it unique to work with actors with Down Syndrome? The actors with Down’s Syndrome were all great to work with. Sometimes people ask me if the length of time it took for me to make the film had to do with working with actors with Down’s Syndrome. This was not the case. Even though the film took many years to make much of the delays were technical issues. What is it? was actually shot in a total of twelve days which was spread over several years. Twelve days is actually a very short amount of shooting days for a feature film. 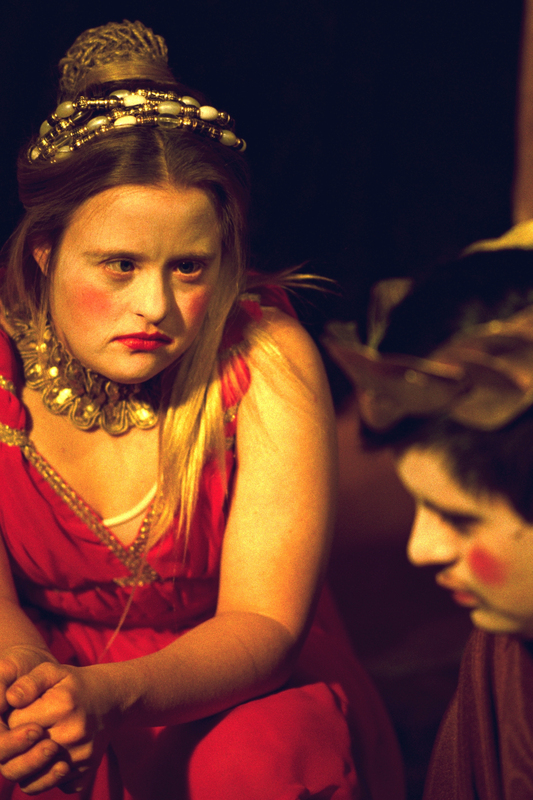 The most important thing about working with an actor whether they have Down’s Syndrome or not is if they have enthusiasm. Everyone I worked with had incredible enthusiasm so they were all great to work with. Something people often don’t realize when watching the film is that the atmosphere for the actors to act in was a very different atmosphere than that created in the film. The film can have a somewhat dank or oppressive atmosphere. When working on the film it is very important to have an open and fun atmosphere so people can feel free to do their best work. This is always the atmosphere I prefer to have on the sets and of course What is it? was not an exception. Describe the casting process for What is it? I started out going to groups that used art for therapy for people with various developmental disabilities. I went by myself at first, and then later a casting person I knew in LA named Kim Davis helped me tremendously by continuing to contact groups of that description. Coincidentally I just ran into her today at an Apple store in LA. Kim was with her daughter who was born 15 years ago. Kim Davis was very dedicated to her work and we were on the last day of casting and she was not able to come in because that day she happened to have her daughter! I was and am extremely impressed with that sort of dedication. Of course I had to repeat that story to her daughter who I gather had heard it before. Kim was great to work with and really helped me out a lot for the casting! You can tell by that story how old a film What is it? actually is. You have often been described as an “auteur,” or a director with a personal and unique style. Do you feel that this term fits you? What cinematographic characteristics are typical of your style? Do your films come from a very personal place? In What is it? my character uses the word “auter.” On one level the word “auter” was used for entertainment purposes with a sense of humor. Although it is true that Steve is the original “auter” of “It is fine! EVERYTHING IS FINE.” I think the original use of the word started in France in the 1950s to describe directors that also wrote their material. I did completely write, direct and edit What is it? Steven C. Stewart wrote It is fine! EVERYTHING IS FINE. and is the main actor in it. I generally call It is fine! EVERYTHING IS FINE. Steve’s film, as ultimately it is. Even though I funded it, co-directed it, co-edited it, and distributed it, Steve wrote it and is the main actor in it. Still I am equally possessive with It is fine! EVERYTHING IS FINE. as I am with What is it? A few things I like a lot as a director are to work on sets, to keep the camera relatively static and to work with pre-existing non-lingual music that exists in the repertoire. When visiting different countries while touring, do you ever get a chance to take in the local culture? Do you find that the type of people you meet, and questions you are asked, vary as a result of your location? When I travel with my shows and films, I go to museums and look at paintings and photographs and various works of art, or any building of older architectural integrity, or any good botanical gardens in the area. There could be some variation in response when I travel from one country to the next, but for the most part the reactions are relatively similar. People may tend towards getting a bit more riled up by What is it? in the US. Little is said in the media about your personal life, particularly in regard to romantic relationships. Is this partially the result of purposeful intentions on your part? If more questions were asked about your personal life, would you answer them? The way for a public figure to get media to ask about their romantic life is to be in a relatively long-term committed steady relationship with another person that is also a public figure, then for there to be something that can be written about that relationship— such as infidelity, something considered unusual about the person in the relationship that could affect said relationship, the birth of a child, a divorce or some kind of public disturbance such as an argument or the police being called. I have never had any of that sort of thing in my personal life that would make my relationships useful fodder for gossip. The purpose of that kind of gossip media is to distract the public, who becomes interested in that sort of thing as kind of a real life comic book. Of course once a public person gets that kind of attention the media will latch onto it to utilize and make all kinds of things up that have little or nothing to do with reality. I do not mind that I have not been subject to that with my personal life. 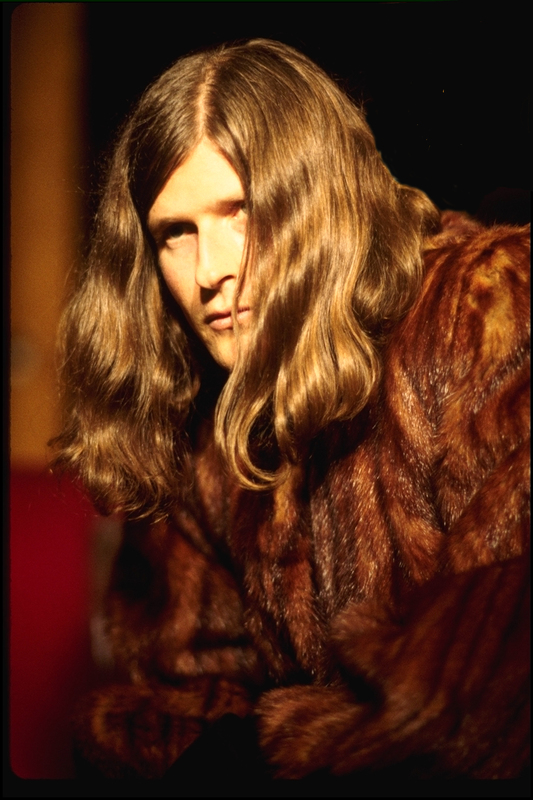 I can disconnect with the inaccuracies written about the public persona of Crispin Glover, which of course is quite different than my own personal private life. My own personal life, particularly since beginning touring with the shows and films, has been secondary to dealing with business in order to continue making my own films. I have never been married or even close to being married. It would not be practical to start or at this point have a family lifestyle or even a steady girlfriend, as I am rarely in the same city for more than two weeks in a row. That is bad enough for maintaining a steady relationship and would be worse for raising a child. This leads towards having various shorter term relationships. I am not complaining. Continuing my work is what is the most important to me. If there is a time in my life when monetary elements are such that I could continue my personal filmmaking and have a family life, perhaps that would happen. But if not, family is not my primary drive, nor is getting into gossip-style media. That being said, it is possible that gossip-style media can have positive business effects for certain public figures. It is just not something I have had interest in pursuing. During your Q&A sessions, you share how corporate interests affect what types of films are released. Moving one step forward in the process, what kind of effects do you feel the film industry has on consumers? Beyond the obvious implications of valuing wealth and possessions highly, how can a homogenous system of cinema theoretically change the way people interact with each other on a personal level? The moral aspects of the “hero’s journey” story structure are probably some of the primary reasons why the hero’s journey story structure continues to exist in the first place. The function of ritual in hunter-gathering humans can be to help the sociological organization of the hunter-gathering groups to survive. This is why some of the rituals can from an outside viewer seem harsh. Whereas from the inside of the particular tribe that would practice this particular ritual, it would seem to be a protective way of dealing with what would ultimately be harsher outcomes if certain practices for survival were not adhered to. This is still quite similar in modern media except the tribal elders who oversee perhaps 20 people are replaced by corporate heads that want to influence the population in such a way that will be best for those in charge of the corporation. Making certain that a particular type of moral is funded and highly distributed is a way of controlling the thought processes of the public. The same is true of which kinds of morals are not funded or distributed. Like I have been saying, corporate entities do not want to fund or distribute films that will make people question things. The ultimate reason is that if people come to be genuinely questioning they will ultimately question the validity of corporate entities they have had for more than a century, and return the legal status of a corporation to be of a limited time, and to strictly be able to be in existence only when they are deemed to be beneficial to the society at large. All currently corporately funded films rated in the US must be made for the viewership of children. The reason for this is that when the NC-17 rating came about to replace the X rating, multiplexes had become the norm. In the 1960’s and 1970’s films like A Clockwork Orange and Midnight Cowboy were given the X rating in the US. A certain freedom happened in filmmaking between around 1962-1979. At that time it was easy to control if children were able to get into a single screen theater or not. 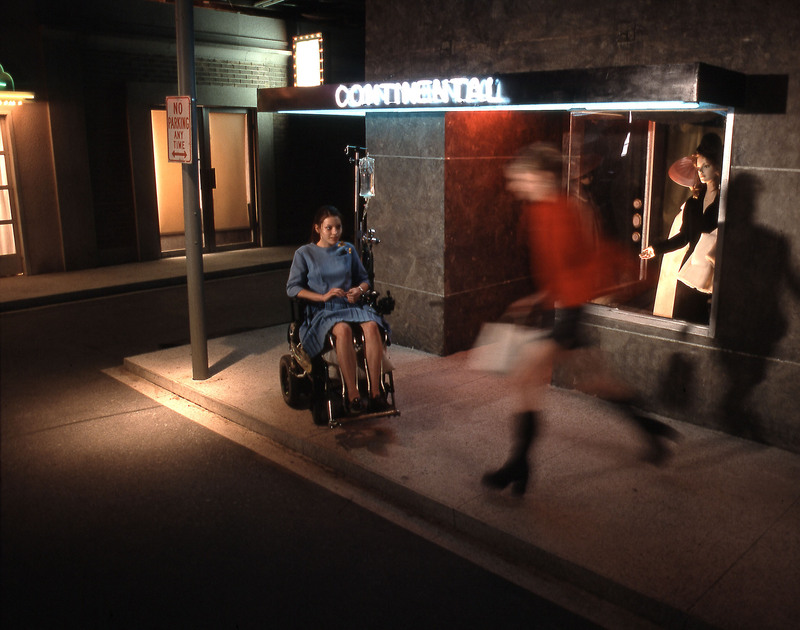 When multiplexes came into being and X was changed to NC-17, the corporations that ran the multiplexes became concerned that a child could walk down the hall and easily enter into an NC-17 film and they could be sued. So they stated that they would not show films rated NC-17. Being that multiplexes had become the main source of recoupment for the film distributors it was no longer viable to distribute NC-17 films. No corporate entities would fund films they could not recoup on. So at this point in time corporate funding and distribution entities in the US will only fund films that are rated G, PG, PG-13, and R. R means “under 18 [must be] accompanied by an adult.” Therefore all corporately funded films in the US must be made with the concept that those under the age of 18 are able to view the film. This means all corporately funded films in the US are made for the eyes of children. There is certainly nothing wrong with films that are specifically made for children, but it certainly is questionable when there is not a corporately funded film company that will fund and distribute films that are specifically for the eyes of adults. Unfortunately the corporately funded and distributed films industry currently has a hugely propagandizing effect on the US population at large. It is an enormous topic. The book Propaganda was written in 1928 by Edward Bernays. Bernays was Sigmund Freud’s nephew and he utilized his uncle’s understanding of the subconscious and became the literal founder of the public relations industry. Bernays came up with the word combination “public relations” to replace the word propaganda. The book is not an exposé but an instruction manual for the monied and privileged class through psychological “public relations”/propaganda techniques to get the lower-class masses to serve the privileged class with the disguise of democracy. The first paragraph of Edward Bernays’ book Propaganda is “The conscious and intelligent manipulation of the organized habits and opinions of the masses is an important element in democratic society. Those who manipulate this unseen mechanism of society constitute an invisible government which is the true ruling power of our country.” This book should be mandatory reading for everyone in high school so people in the US would have a better understanding of how things genuinely work in the media. There are more complexities having to do with the Vietnam war and the media controls that happened after the Vietnam war protests. It seems apparent that corporations influencing media are the same corporations influencing/legally bribing the government. I am not against the basic concept of corporations, but I have come to notice a similarity to the “Occupy Movement” and what What is it? is essentially protesting. It seems that the “Occupy Movement” is protesting business interests having an influence in the government. Your films are intended to pose questions. Are you comfortable speaking about what questions your films may inspire in people? If so, what are some examples? I am very careful to make it quite clear that What is it? is not a film about Down’s Syndrome but my psychological reaction to the corporate restraints that have happened in the last 20 to 30 years in filmmaking. Specifically anything that can possibly make an audience uncomfortable is necessarily excised, or the film will not be corporately funded or distributed. This is damaging to the culture because that is the very moment when an audience member sits back in their chair, looks up at the screen and thinks to themselves, “Is this right what I am watching? Is this wrong what I am watching? Should I be here? Should the filmmaker have made this? What is it?” -and that is the title of the film. What is it that is taboo in the culture? What does it mean that taboo has been ubiquitously excised in this culture’s media? What does it mean to the culture when it does not properly process taboo in its media? It is a bad thing when questions are not being asked, because these kinds of questions are when people are having a truly educational experience? For the culture to not be able to ask questions leads towards a non-educational experience and that is what is happening in this culture. This stupefies the culture and that is of course a bad thing. So What is it? is a direct reaction to this culture’s media. I would like people to think for themselves. Anything that can possibly make an audience uncomfortable is necessarily excised, or the film will not be corporately funded or distributed. To what extent are you willing to explain the symbolism in your films, and why? People often ask about the symbolism of various things in the film. One of the images of Shirley Temple is a pre-existing image that was made by an anonymous artist in the 1980’s. It is an unsigned piece of art a friend of mine owned. I purchased it from him when he sold it in the 1990’s, as I had already written the image into the screenplay “IT IS MINE.” That screenplay will be part three of the trilogy. Yes the image is a very strong image and certainly can make people uncomfortable. It definitely has a metaphoric meaning to me. I assume many people will interpret that image in many different ways. When I describe the meaning of images within What is it? I am careful to not dictate what my interpretation is to the audience because that would spoil their own interpretations. Next is to reply specifically about the concept of a film that goes “beyond good and evil.” Films that are currently financed and distributed by the film corporations and distribution corporations that currently exist must sit within the boundary of that which is considered good and evil. What this means is if there is a so-called “bad thing/evil thing” that sits within a corporately financed and distributed film it must necessarily be pointed at by the filmmaker so that the audience is dictated to that the only way to think about that so-called “evil thing” is that one way. Any other way of thinking about that so-called “evil thing” would be considered wrong and it must be made in such a way that the audience understands that the filmmakers feel that this “evil thing” is only that, and no other way of thinking about that “evil thing” could or should be possible. A film that goes beyond the realm of good and evil may have this same so-called “evil thing” but the filmmaker may not necessarily point at that so-called “evil thing” so that the audience is not dictated to and therefore can determine and think for itself as to what this so called “evil thing” really is to them. Steven sometimes used an assistive device to help him communicate. Those with developmental disorders, such as the actors you worked with on “What Is It?,” also struggle to be understood. What are the parallels between these actors having difficulty communicating, and the difficulty to communicate that is caused by corporate cinema? I do think there is an obvious metaphor in struggling to be understood and corporate interests aiding the culture to help stifle understanding. You’ve made it clear that becoming an actor was your choice, but are there ways in which having two parents with acting backgrounds offered you opportunities for intellectual thought and artistic expression? Also: Tell me about growing up in Los Angeles. In addition to the revivalist theatres you often visited in your late teens, what were some things you experienced in your young adulthood that have served as a major influence in your work and life? I attended Mirman School for Gifted Children from 1970 to 1978. This is age 6 to 14. I always drew and wrote as a child and I was exposed to art and museums at a young age. My father shot Diamonds are Forever when I was 8. My father, mother and I were in London for two months and Paris for a little while after that. I very much enjoyed going to the museums like the Louvre at that age. I always liked Bosch and Dalí as painters when I was a child. I saw Tod Browning’s Freaks when I was a child and was quite favorably impressed by that. My father is an actor and my mother retired from her primary profession as a dancer and secondary profession as an actress when I was born. As I was growing up watching my father work in the film industry I did not necessarily equate the business of acting with art as much as seeing it as a business. I became a professional actor at age 13 by my own choice. I emphasize that because there is a large difference between that and when a child is forced into acting by parents who choose that career for a child. I began studying in a professional acting class at age 15. I viewed many revival films of the 1920’s through the 1970’s at the revival theaters that were popular in the early 1980’s before the advent of VHS competition that led to most of the revival houses closing. While watching many of the films and being in acting class I began to understand film and acting specifically as art. To be specific, I began going to the revivalist theaters when I learned how to drive at age 16 which was 1980. I got an agent and my first job which was a Coca-Cola commercial in 1977 at age 13. I however was not able to shoot the commercial because I woke up with stomach flu on the day of the commercial. I almost never get stomach flu and I was not nervous and I was genuinely sick and could not shoot the commercial. I was disappointed and I am still mad that I was not able to do that commercial. My first long-term experience with having a professional job as an actor was in 1978 at age 14 for “The Sound of Music” with Florence Henderson at the Dorothy Chandler Pavilion in Los Angeles. I got that through a “Cattle Call/Open Audition” where literally thousands of people would show up to audition for the casting of the show. My mother had seen the ad for it in Variety for “children who can act, sing and dance.” I was concerned about the dancing and singing in particular. My parents were both supportive. My mother had been familiar with the singing and dancing sort of “Cattle call” from work in New York and made me feel like it was not that big of a deal. So I went through the experience and it is something I will not forget. As the day went on more and more people would get cut and I kept getting called back in till there were very few at the end of the day. As I recall we were then called back for one more day of auditions and then the decision was made that day. Actually that kind of experience was really very confidence-building because I was there physically with all the other people progressively getting cut. I had already started to do good work as an actor in class by age 16 at the point that I went to yet another “Cattle call” audition for Best of Times that was advertised in Variety. It was a similar sort of cutting out experience as for “The Sound of Music” except the audition was more based on a scene that you were supposed bring in. I had brought in an improvisational scene with someone trying to get their parent to listen to a certain song. The scene was later rewritten by the show writers and changed into me getting a shop owner played by Jackie Mason to listen to the song. Being cast in that from yet another cattle call at age 16 was of course a good thing. Nicolas Cage was also cast in it from the same “Cattle call,” and he and I were the only two actors that were of the age where we were still in school. So we had a tutor that we would have to see in a special room or trailer and do a certain amount of hours of schoolwork with each day. He and I shared a certain sense of humor of the absurd and became friends while making that show. I was not technically proficient enough of an actor at the age of 16 to take weak writing and make the intentions work in a strong or differentiated way. I saw a clip an interviewer referred me to on Youtube and I could still see one moment that I was directed to do something that I did not feel good about then or now. I was concerned about watching it because I had not watched anything of The Best of Times since it was on the air when I was 16, save for a couple of moments. I did not like my performance in it. I learned a lot and was very careful after that experience about the decisions I made as an actor to intensify or even change the intentions of the character as written so that it plays. I feel like in that show the lines for the most part are played as written and it makes me uncomfortable still to this day to have public record of a time where I was still learning the craft. In any case I am glad I did the show and I learned a lot from doing it. Want to know when Crispin will be coming to your area? Sign up for a location-based newsletter at CrispinGlover.com, or follow Crispin on Facebook and Twitter. 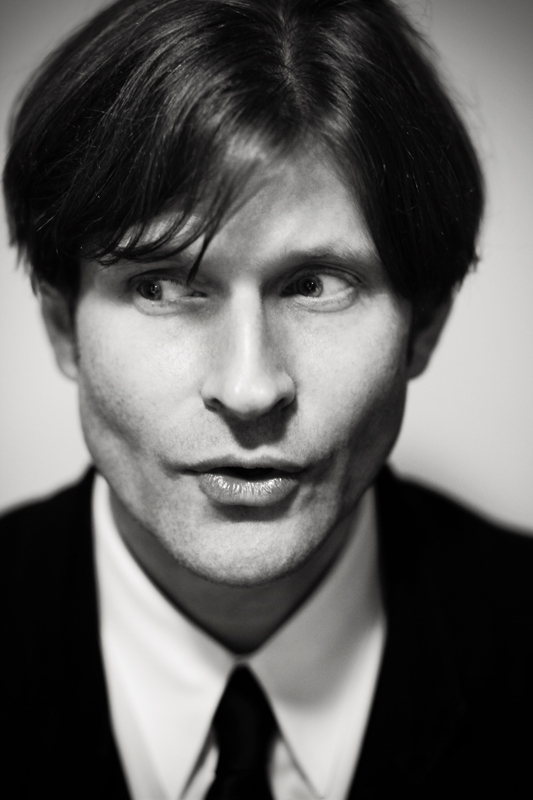 Tagged crispin glover, featured, it is fine! everything is fine., long conversation, what is it?